Carlos Checa has tweeted this morning (GMT) that he has left hospital with nothing more than a concussion after his incident yesterday in race one at Phillip Island. 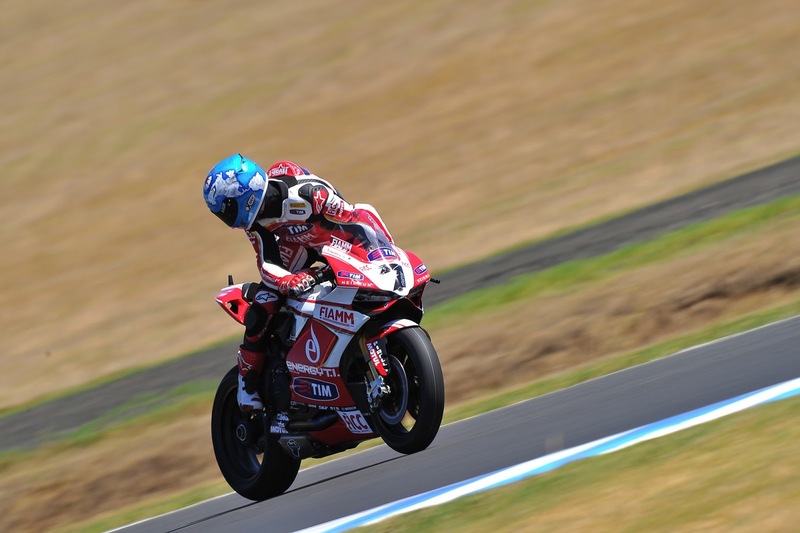 The Spaniard ran into the back of Marco Melandri braking into the Honda Hairpin in race 1 at Phillip Island WSBK yesterday. Checa had no recollection of the incident and suffered no major injuries. Melandri on the other hand, will have a medical examination on his shoulder today, with surgery planned for Wednesday. The crash seems to have aggravated an injury in the Italian’s right shoulder that has been giving him grief all week. Both riders should be racing in Aragon, on the 14th of April, after the original round 2 of the season in New Delhi was moved from March 10th, to November 17th.